It has been said that the lifeblood of your business is money and time. The correlation is clear – time is gold or put another way time is money. Wasted time is money lost. On the other hand, time that is efficiently tracked, organized, and managed will be the basis for billable work for your projects and employees. It becomes the revenue engine for your business. Hence, it is imperative that you get the best employee time tracking tools. Time tracking solutions help you keep tab of the work put in by your team and the progress of your projects (project time tracking). It gives you the tools like timesheet, project tracker and project management report to monitor and record time spent on tasks and projects. You can use it to set deadlines and targets for more effective project time management. It can even integrate with HR and payroll systems as well as accounting solutions to give you an accurate employee work time tracker tool. Time tracking software is the electronic or digital counterpart of the traditional paper timesheet and can be a standalone platform or an app integrated with other solutions that require time tracking functionality such as accounting and project management software. It is an indispensable tool for professionals including accountants, lawyers and freelances who bill their clients by the hour. It is also used in many industries for tracking work hours of employees and teams, for measuring and assessing project performance, and for automating or simplifying timekeeping tasks and processes. While most solutions offer basic tracking of time duration (work hours), others provide more advanced tools to measure work produced during a given time. This is most beneficial for companies involved in manufacturing, construction, or transportation that are more focused on determining production, building, or mileage and the time it took to accomplish or cover these. 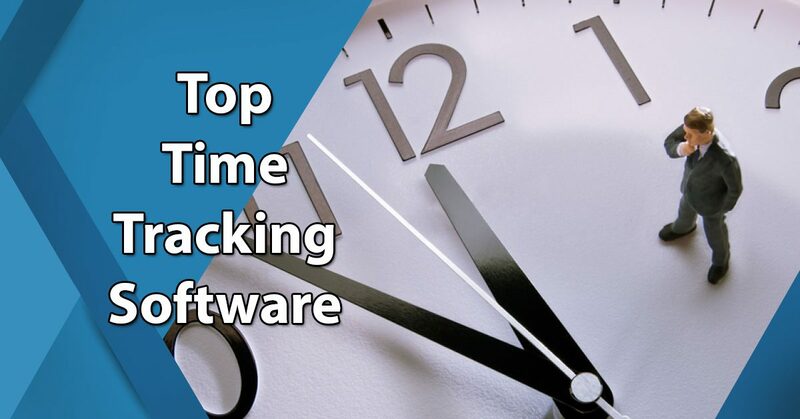 Time tracking software can automatically generate billing and invoices based on work output and the time spent, and on some software even run costs and estimates against tasks and projects. Whether used as part of a PM software to prove billable hours to clients or to monitor employee time and effort, time tracking tool software will prove to be vital for your organization. How so? Did you know that businesses spend roughly 80% of their productive work hours manually consolidating data before they can run their payroll? The best case for the use of time tracking solution is the losses incurred by companies due to wasted time. One of clear benefits of this software is that it will pay for itself with the savings you’ll realize from efficient time management. In fact, you can check more time tracking software benefits here. The thing to remember is that accurate time tracking is instrumental to many vital business and project management processes such as calculating project ROI, ascertaining budgets, estimating task duration, and others. To help you with the aforementioned, you need a good project time tracker or project management solution with time tracking tools such as those we’ve included here. What are the top 20 time tracking tools? It is important that you assess your requirements when getting a time tracking tool. If you work on projects, there are many PM solutions that come with built in time tracking functionality like those in this list. If you opt for a dedicated time tracker tool, you don’t have to worry if it will work with your other apps. Most time tracking software can integrate with other business and productivity solutions like accounting, payroll, and HR systems. Below we’ve gathered the top products and highlighted their time tracking features and capabilities so you’ll be well informed when you decide to get one. Leading project management software Wrike got high marks in our reviews, for good reasons. It is built to provide you speed and efficiency especially if you handle remote and distributed teams. The cloud based platform enables multi-functional groups to collaborate and work effectively from a single location. Wrike lets you plan, schedule, prioritize, discuss, and keep track of team tasks and project progress in real time with a few simple clicks. It is the project management solution of choice by over 17,000 organizations nationwide including global brands like Google, Adobe, and HTC. You can easily sign up for a Wrike free trial here and get to know the features firsthand at no cost and without commitment. With Wrike, you gain visibility over all your team’s projects with real time reports and status. You get to simplify planning, enable collaboration through centralized communication, and streamline workflow. In other words, you’ll be able to organize everything you need to complete your project in one place as well as keep your priorities straight and your goals in sight. One of its many features is time and budget tracking that helps you keep track of how time is being spent by project or by team member for more precise planning and budget management.  Timer tool to facilitate accurate time logs and track time spent on a task. Timelog View shows timelog entries for all tasks and subtasks within a particular folder or project. Data is consolidated into a Time Spent column in Table View which you can add to your project overview. You can create a custom field for “Estimated Time” if you’re using Wrike Enterprise. You just fill it out at the start of your project and compare it to the actual number of hours spent working to give you a side-by-side view for accurate estimations on future projects. Workload view will help you adjust the team’s workload to ensure they are delivered on time. When I Work bags the second spot on our list of best time-tracking apps because its design allows for effortless automated monitoring of every employee’s clock-in and attendance. Its tools effectively cut the time it takes for employers to track productivity through a seamless continuous recording of clock-ins, which is reflected automatically in your payroll report. When I Work features intuitive monitoring tools that integrate scheduling, attendance checking, and payroll. Moreover, it supports mobile check-ins, allowing users to log in through their smartphones, while it captures attendance with ease. Push alerts are automatically sent to both the employee and the manager when the former is late for work or forgets to check in. Likewise, real-time monitoring is possible and employers can adjust shifts and schedules accordingly. If you want to check its premium features at no cost you can easily sign up for a When I Work free trial here. Using When I Work also lends to your staff more accountability. Using GPS, the app reveals the employees’ actual location in every check-in, a handy tool to monitor discrepancies and inconsistencies especially when processing salaries. Furthermore, the software lets you generate reports summarizing an employee’s attendance and workload should you plan for performance evaluation or forecast staffing needs. Mobile Check-in allows employees to clock in for work through their smartphones. Check-in Locks only allows employees to check in during scheduled shifts which effectively prevents overages. Mobile alerts are sent whenever a new schedule is available. Notifications are sent to remind employees of their check-in time. Geo Pins are available for verification of check-ins by employees for payroll purposes. It’s absolutely free for businesses with only 75 employees or less. With Clarizen features, you get an enterprise-grade project management solution that offers a unique combination of robust project management tools and high-quality social collaboration solutions to help you and your teams successfully execute and deliver projects. The cloud-powered software enables you to manage projects and connect the enterprise from a single, collaborative work management solution. If you want to know more about the features you can easily sign up for a Clarizen free trial here. Clarizen offers a well-defined work structure that connects tasks, projects, and conversations, allowing you to tie powerful management to social engagement. It also gives you a faster way to manage work, initiatives, and projects. It automatically prioritizes budgets, projects, resources, portfolios, and tasks, and makes sure that critical information and resources are always managed properly. It lets you configure your workflows, centralize and share resources, align communications, automate repeatable processes, get all around real-time visibility, share project data, and track progress. Clarizen currently powers some 2,300 fast agile enterprises in 76 countries worldwide. Automated time tracking and real time reporting. Configurable custom field for time entries. Automatic association of work hours with the correct task. Streamlines reporting and time approval by populating appropriate billing rates for each task and automatically assigning timesheets to the correct departments. Popular PM system Zoho Projects is designed to assist you in making your processes more efficient so you can finish projects within your timetable. It is equipped with features to improve team collaboration, facilitate project monitoring, and enhance your productivity and output. Getting work done on time with Zoho Projects is made possible wit its milestones, tasks, and task lists to plan your work in advance. It is able to divide large and complex projects into manageable units as well as schedule recurring tasks and subtasks based on your deadlines. An appealing test drive of all software features is available to you when you sign up for a Zoho Projects free trial here. Zoho Projects is loaded with a variety of collaboration tools to connect your teams, clients, and consultants. It also provides in-depth visualized insights through charts and graphs, allowing you to report on your activities, track opportunities, and capture eventual drawbacks. It likewise offers an unparalleled system for task monitoring, letting your employees share and discuss data at an organizational level. The platform is intuitive and user-friendly to ensure the best possible interaction between network members, and uses Gantt charts to showcase the progress of your projects. Timer for tasks with entries automatically logged in your timesheet to help calculate actual working hours in a project. Timesheets can record the start and end date of tasks and contains detailed breakdown of tasks accomplished throughout the project. Export timesheet in various formats and send them to your clients, project managers, stakeholders for billing or employee payroll. Record billing hours and choose reports based on users, billing, or period. Establish an approval process and billing status for timesheets. Among the many ProWorkflow benefits you can gain are project visibility and control to help you collaborate seamlessly with your teams and complete projects faster. It comes with features and tools that are scalable to meet the requirements of freelancers, SMBs, and large enterprises. The software gives you a quick overview of your current status for active, finished, and future work, as well as a global view of your projects and tasks through a Gantt style timeline. You can use all the features for free for a period of time to see if the software matches your needs. Simply sign up for a ProWorkflow free trial here. You can also keep everyone updated with the messaging tool where you can attach and send files, and choose whether to make them private or public. ProWorkflow keeps all project information in one organized page with its Project Dashboard where you can control workflow and workload, create and delegate tasks, and upload and share files through drag and drop functionality. The platform also allows you to utilize company-wide overviews and interactive timelines to manage projects easily. It also lets you plan projects by taking into account staff availability, set realistic deadlines, and break down projects into easily doable task lists that have subtasks. Multiple methods for tracking time wherever you are. Built-in timer you can start or stop or add a new entry. Desktop time tracker widget to access projects, tasks, files and messages. Mobile app for full access to your time, projects, tasks, and reports. Create quotes and invoices based on budgeted time and actual time spent on projects and tasks. Going over the Basecamp details, we’ve learned that this widely used online project management solution offers simple setup and operation, and lets you organize people, delegate tasks, and monitor progress right from the outset. The fact that Basecamp was the first to introduce remote project management make it all the more a reliable solution for connecting your team members wherever they are, even if they are time zones apart from each other. The software brings with it an array of features and capabilities to let you efficiently monitor your projects and get things done on time and on budget. The user-friendly platform allows you to organize tasks in to-do lists, with due ranges and dates, and assigned employees to eliminate confusion. You can prioritize and reorder tasks, and tailor the workflows to your requirements. It can help you summarize accomplishments, generate automated reports, share ideas and proposals, and set up reference conversations to ensure that all team members are on the same page. You can ping and chat with individuals and groups in real time, and manage documents and files with the ability to store, link, tag, share, or comment on your information using simple drag-and-drop mechanism. Time tracking functionality can be enabled for your to-do lists. It has integration with over a dozen time tracking apps and widgets to give you a web-based timesheet you can use to run payroll, create invoices, and generate reports. You can produce time tracking reports up to 6-month date ranges. You can enter time tracking data for every project. Modern PM solution Paymo is intended to help SMBs manage their projects from end to end. To ensure seamless workflow throughout the entire project life cycle, it is equipped with tools and features for task management, team collaboration and communication, resource scheduling, invoicing, mobile support, Gantt Charts and Kanban boards, time sheet reporting, and automatic time tracking. Paymo enables you to identify project issues and challenges, accurately track time spent on projects or tasks, and empower your team to become more productive. Even if you’re not a project manager, Paymo makes project management easy with its array of tools such as time-saving templates, milestone alerts, task lists, and many more. You can have your team or company on the same page wherever you are and stay organized; share everything with your team; and keep track of the progress of your projects, tasks, budget costs, etc. You can break complex projects into manageable task lists, delegate tasks in just a few clicks, and set milestones. Has Web timer to record time spent on projects or tasks in your browser. All time entries are saved with start and end times for accurate time reports. Desktop time tracker widgets allow you to track work time which can be recorded either via stopwatch or added manually in bulk. You can use the rule filtering system to automatically link time spent to the right projects. You can visualize timesheet data in a familiar calendar style with day, week, month and agenda views. Harvest is a web-based business management application that comes with a very useful time tracking tool you can use for monitoring personnel time as well as generate and send professional-looking invoices directly to customers. It has a smart and intelligent interface, which is easy to operate. The system basically streamlines and smoothens the time tracking process, making it easy for users to stay on top of business processes. It helps you feel the pulse of your business ad understand where your time going, how much your projects really cost, and how much your projects are bringing in. Harvest harnesses the power of time tracking to give you visibility over your business and projects. As such, it includes features such as powerful reporting tools to provide users with real-time access to information on time, projects, and budget. You get reliable and actionable insights to make intelligent business decisions, estimate projects, and make sure that profitability is attained. Be in control of the time tracking process with just a click of a button. Easily monitor and update time data on the weekly timesheet. Mobile compatibility lets access the platform and track time anywhere at any time from any device. Automated notifications to staff for their time reports for easy for management. Manage and distribute time efficiently across your business. Generate and send invoices to speed up the sales process and boost revenue. Our Mavenlink overview revealed that this online project management system brings together advanced project management, resource planning, collaboration, and financial tools in one simple and intuitive platform. You get to manage all team and project activities with collaboration features that centralize and prioritize all conversations, activities, tasks, and financials in one convenient location. The software also offers financial and benefits management, creative and professional service automation, advanced search, and automated insights. To help you stay in control of workflow and project information, Mavenlink stores, organizes, and shares all files related to your projects. Its task management capabilities let you track time and budgets, create sub-tasks and integrate with Google Apps for seamless file syncing. It also integrates with many business systems and apps to give you a fully extendable and scalable platform applicable to companies of all types and sizes. It also includes tools for project and team management, messaging and conversations, time and expenses, invoicing and online payments, file management, and financial reporting. Universal time entry facilitates tracking time to approving it. Online timesheets for tracking billable and non-billable time and expenses at the project or task level. Record time as you work or easily log hours at the end of the day or week. Log time and expenses on the go using the mobile app to give managers instant visibility into where hours and dollars are being spent. Real-time time and expense reports let you analyze time and expenses tracked across your organization. ClickTime provides businesses and professionals with a robust web-based time tracking platform that simplifies the way you manage your time, expenses, and other resources. It offers a wealth of features that allows you to monitor working hours, generate efficiency reports, and empower employees to be more productive. You can quickly print reports using nearly 100 templates and out of the box reports to cover any timesheet and expense reporting requirement. With ClickTime, you can accelerate the approval or rejection process for paychecks, invoices, and reporting. As a time monitoring software, ClickTime is equipped to help you track your employees’ working hours and ensure that all billable time were actually spent on work. It can also assist you document and manage your expenses as it is able to perform expense management-related task directly from your smartphone like uploading receipts, reviewing expense proposals, approving expenditures, and preparing your budget, among others. Furthermore, it also gives you the means to predict the profitability of your business with its Project Insights feature, making it an end-to-end budgeting application built for businesses that monitor time. Easy time tracker lets you track employee hours, plan and approve employee time, and gain new insights into your organization. Automatically record employee costs, billing rates, accrued time-off, and more. Track time online, on your phone, or through Google Calendar or Chrome. Combine timesheet and expense management to streamline expenses, approvals, and reimbursement. Gain employee insights, plan employee hours, and get real-time window into your projects. Hubstaff has everything you need to run your business like clockwork. The time tracking software is designed to help you effectively manage the workflows and productivity of your remote teams, and come with an array of features and functionalities and features, including tracking keyboard/mouse activity and taking random screenshots for proof of work. It also allows you to set budget and time limits on working hours as well as utilize GPS for location monitoring. With its capabilities, Hubstaff is an ideal tool for companies that run remote teams, as well as consultants and freelancers who need to provide accurate reports on billable work time. Hubstaff lets you easily manage multiple projects and different teams from a single location, and set settings and permissions for each team and individual employees. It works well for employers and employees alike since its time tracking capabilities ensure that employees are working during business hours and send accurate invoices so businesses pay the right amount for actual work delivered. It also provides in-depth reporting to guide decision makers, and works on all major operating systems and platforms. Compatible with all popular project management solutions. Comes with desktop and mobile apps, allowing teams to track time whenever and wherever they work. Online timesheets allows you to record employee hours and view reports on your browser. Monitors productivity to let you see work unfold in real time via screenshots, app and URL tracking. Built in automated payroll system for weekly, bi-weekly or monthly pay periods. Employee attendance tracker and staff scheduler lets you see who is working when at any given time. Workfront pricing is by quote, but that’s because it can be tailored-fit to give you only features that you need or the whole comprehensive, enterprise-level solution for work management, project management, and collaboration. You’ll be able to get a 360-degree view of your operations to easily spot issues and trends and help every member of the team whether they are from sales, marketing, IT or admin. You and your team will become more aware of every situation, optimize projects, and take total control. With Workfront, your company can have a unified work environment where individual employees as well as teams can connect for work. It provides full project visibility, along with reporting features for project managers, stakeholders, and executives. The software facilitates project planning and management, and allows you to utilize effective methodologies like Waterfall and Agile. Having advanced project management capabilities alongside collaboration tools and social features, you’ll be able to improve processes and empower members to work together and enhance performance and output. The platform supports unlimited customization and comes with more than 80 standard reports. It offers real-time updates from dashboard information and reports, giving each team members access to reliable and accurate data. Built-in timesheet management portal allows you to create and manage timesheets for your team members. Capture hours for issues, tasks, and project with timesheets that managers can review and approve. 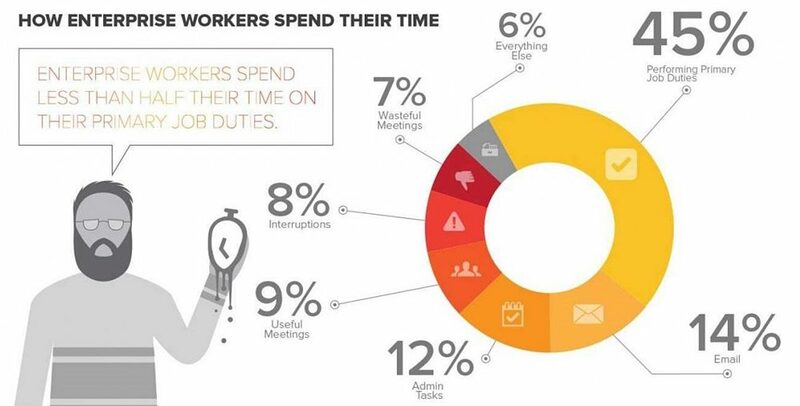 Learn how much time is spent by users in various roles (e.g. team member, project manager, executive, business partner). Plan and optimize available resources efficiently and see if teams are over or under-used. Rebalance workloads automatically with time utilization. A rundown of ConnectWise Manage pros and cons revealed more of the former than the latter. It lets you connect all vital business processes in a single application, helping you increase accountability among your members across various teams and departments, and provide one source of truth for your business. It is designed to streamline operations and processes, allowing you to maximize your resources with error-proof ticketing, clear lines of communication, and robust documentation. The online PM platform offers reporting features and dashboard allow so you can understand your business better and make more accurate business decisions. ConnectWise Manage combines the capabilities and tools for project management, customer service, sales, and billing capabilities, eliminating the need to use several systems simultaneously. It can collect and store all your data, and provide you full visibility on the progress of your projects and operations. When it is time to bill your clients, the platform consolidates all notes, time entries, expenses, and products from your departments and makes them available to your Finance team for easy generation of detailed invoices. Track every billable time or non-billable hours, and see how much time you’ve spent on a ticket or project. Automate carrying over tracked billable time, notes, products sold, and expenses into invoices for precise billing. Allocate time to associated agreements and SLAs, and keep accurate notes that are easily accessible to the whole team. Enable your teams to track their time on-site, keeping time accurate and notes immediate, so that you don’t miss out on earned income. Faster and more efficient approvals of timesheet through accountability tools. A smart time tracking solution for remote teams, Time Doctor provides detailed analytics of where time is spent in the work day. It offers an accurate way to track time spent working and time spent on breaks, allowing your team members to be more productive and maximize the use of their time. It enables you to view applications and websites visited by employees as well as screenshots of the computer screen every few minutes while they work. The time tracking data is accurate to the second so you can see and verify where time is spent. You can use the data to bill customers or to have an accurate record for paying staff. Aside from time tracking and screenshots, the software also provide tools for chat monitoring, sharing data to clients, generating customized data reports, tracking websites and apps being used, and automatically calculate payroll for easy payment of employees based on fixed salaries, or on hours tracked with Time Doctor. Payroll is fully customizable and includes a variety of payroll periods, supports all currencies, and utilizes leading online payment gateways. The software can help your company to improve business processes by analyzing exactly where time is spent, and managing remote employees like they were with you in the same office premises. Accurate time tracking to ensure that everyone is working efficiently. Helps you stay focused by nudging you when you are distracted from work. See detailed insights on how you spend your time, identify weaknesses, and fine-tune processes for better time management. Integrates with leading project management apps such as Trello, Asana, and Basecamp. Has a range of configurable options to let it adapt to your needs. All information, including screen captures, is encrypted when sent to the Time Doctor servers. elapseit gives you one platform for resource planning, project management, and time tracking to help you handle important areas of your company’s operation, from project conceptualization to completion to invoice. You can use its robust business management features to track assets, personnel, documents, projects, and clients, all from a single software. Its smart timesheets and resource planning functionalities streamline employee scheduling, time management, and task management. It provides custom graphs and reporting tools to give you the whole picture of your business and make informed and correct decisions. The platform helps you keep detailed records of the time your employees have spent on various tasks to ensure that time is managed and utilized well. The same goes for equipment, materials, and other assets, where you get comprehensive information on them and their utilization. Since workloads can change on a daily basis, the software offers you a clear view of what needs to be done and priorities that need to be addressed so you can make the necessary changes to ensure that can be delivered on time. Simplify and streamline time off and leave management with just one click. Streamline approval workflow by locking hours and billing automatically. Create invoices in local language for the time employees spent on specific projects. One-screen view to determine the workload across the whole company and adjust it according to the day’s needs. See hours assigned on each project and determine if the time spent on it has been paid for by your clients or not. Time tracking platform TimeLive is intended to help businesses track the performance of their personnel and all related expenses, and compare them against each task. It is a smart and user-friendly time tracking solution lets you manage employee time and projects, optimize resources, and plan and execute schedules to maximize the use of manpower and resources. The software which is available in both online and on-premise versions, can generate in-depth reports and provide insights into your projects so you can improve your workflows and practices as well as enhance overall performance. TimeLive enables you to effectively track the time spent by your employees on their tasks and audit their work trail to help you analyze their performance and improve their productivity. It makes it easy for you to make accurate documentation of time spent on work, monitor your expenses, and set them against your tasks and projects, keeping you informed on where every dollar is spent on and those in charge accountable. TimeLive also automates approval processes and facilitates accurate billing through firm evidence of time spent on a specific project to justify your rate and price. Web-based timesheet to track working hours, productivity, and staff expenses. Customized e-mail notifications to remind employees about their pending timesheet and managers for the pending approvals. Supports configurable periods for your time sheet input in accordance to your preferences (e.g. daily, weekly, monthly, etc). Audit trail of every input/modification of each timesheet. Determines workforce productivity pattern during different times of day. After nine years since its introduction, TSheets was acquired in January 2018 by Intuit and is currently powered by the company’s best selling accounting platform Quickbooks. With such credentials, you can expect nothing less from the software that allows you to easily track time on any device to streamline payroll, send accurate invoices, and save money. It is equipped with an easy to use time tracking tool that lets you monitor employee work time whether they are in the office or in the field. Its mobile timesheet tracker allows real time tracking from any location using any device, which is helpful especially for employees who work remotely or switch jobs or locations regularly. Using their devices, your employees can track time quickly and easily, with handy clock in/out reminders, employee breaks, and overtime alerts to keep everyone on the loop. Likewise, employees can clock in and out on their desktop, laptop, or smartphones using apps, text messaging, or dial in. TSheets can accurately track time even offline or out of service, as it automatically syncs when back in range. Easy to use virtual timesheets. Automatically tracks and updates both time-off requests and accrual tracking. Employees can use the app to perform self-service activities like requesting time off. Administrators can track who has logged in and out in real time. With GPS and time tracking capabilities, ClockShark is designed for the unique requirements of those in the construction and field service industries. Instead of tracking the time of their crew the old fashioned manual way, supervisors can use the app to track their employee’s hours through mobile devices. Also, the software offers employees the ability to log in using the desktop version of the application. On top of that, proprietors and managers can remind their field team to clock in at certain times. ClockShark assures employers that they can know where their teams are at all times with a single glance. Its automated time tracking provides digital timesheets to field crews who only have to log in either at their desks or on their mobile devices and their work hours are already counted. Native apps are available for iOS and Android devices as well as Windows phones, allowing crew members to go directly to the work site and log their times from there. Companies can save on money since they don’t need to purchase dedicated hardware just to monitor their teams. Simple drag-and-drop functionality for adding employees’ names to a calendar to set their work schedule. Real-time reporting provides time cards and job site reports in different file formats that are print-ready. Clock punch locator employs GPS that monitors and shows where each time punch in/out occurs. Clock in can be done by supervisors which ensures that all regular workers and substitutes are accounted for on-site even if they do not have mobile devices. Easy payroll through its integration with QuickBooks that simplifies the transfer of payroll information. SpringAhead offers a web-based time tracking and billing solution for staffing agencies, professional service companies, and accounting professionals. It also has expense report capabilities which can automatically itemize transactions, track project expenses, and speed up expense report process. The software automates the filling out of timesheets and approval of time cards. It can quickly create invoices with customizable line item descriptions, and can be used to easily track revenues and labor costs by projects. Its time tracking capabilities provides options on which time entry format they want and multiple time tracking modes such as daily entry, weekly entry, or clock-in/clock-out format. You will be able to track your employees’ overtime, vacation, and other time types appropriate for each project and employee. His allows you to pinpoint overtime issues, vacation hours in excess of accrual balances, and other timesheet issues before they escalate into a serious problem. Accessible anytime, anywhere from any browser. Integrations with more than 200 payroll providers and major recruiting software. Tailor customer and project lists by person and control access to your information. Track time by type of work performed for each project. Get information you need for detailed billing and project tracking. With Minterapp, users can accurately track billable time per project and quickly convert all recorded hours into an invoice. This cross-platform time tracking and invoicing solution is able to monitor time involvement in any project through smooth integrations with popular software solutions, including Asana, MailChimp, and Quickbooks, among others. It also automatically starts tracking time once an employee logs in the system, making it easy for you to determine the exact hours and minutes each employee spend at work. Minterapp allows for sending of custom invoices through PayPal and Stripe buttons. This feature allows clients to complete their transactions without exiting the invoice page. The software also comes with tools for creating comprehensive reports for your projects, resources, and overall business performance. Users can also leverage its reporting capabilities to avoid overstaffing or understaffing, leading to better optimization of costs and resources. You can track time and send invoices from a single platform. It automatically tracks time once an employee logs in the system. It features integrations with project management platforms. It accurately tracks billable and non-billable hours. Users can settle accounts without exiting the invoice page. You can create invoices online. It comes with a comprehensive reporting tool. There you have it, the best-in-class time-tracking apps on the market today. Of course, to fully appreciate your choice of solution, do check if the vendor is offering a free trial. That way, you get to evaluate the app firsthand and see if it truly fits your actual workflows and requirements. A good starting point is to consider our top recommendation here. You can sign up for a Wrike free trial here.